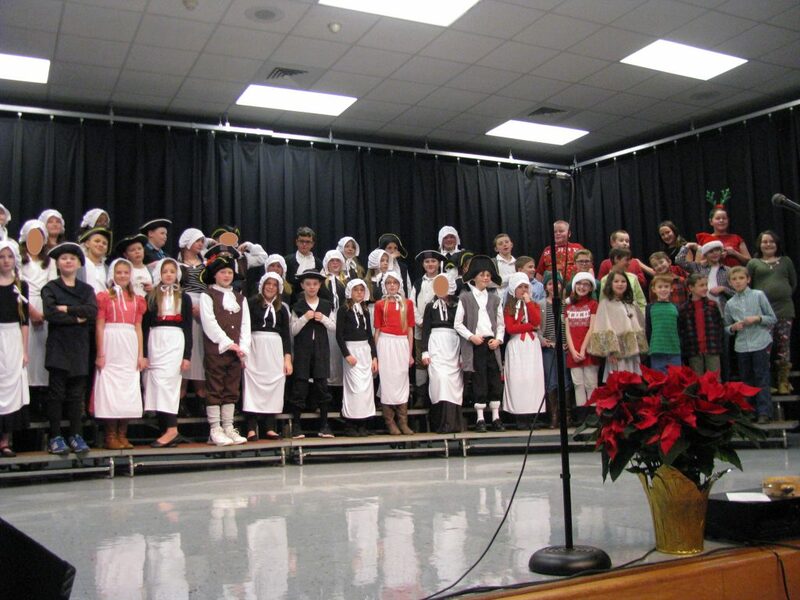 Riverbend 4th and 5th grade students, lead by Mrs. McHenry, presented an enchanting and educational trip back through our nation’s rich history and holiday traditions. 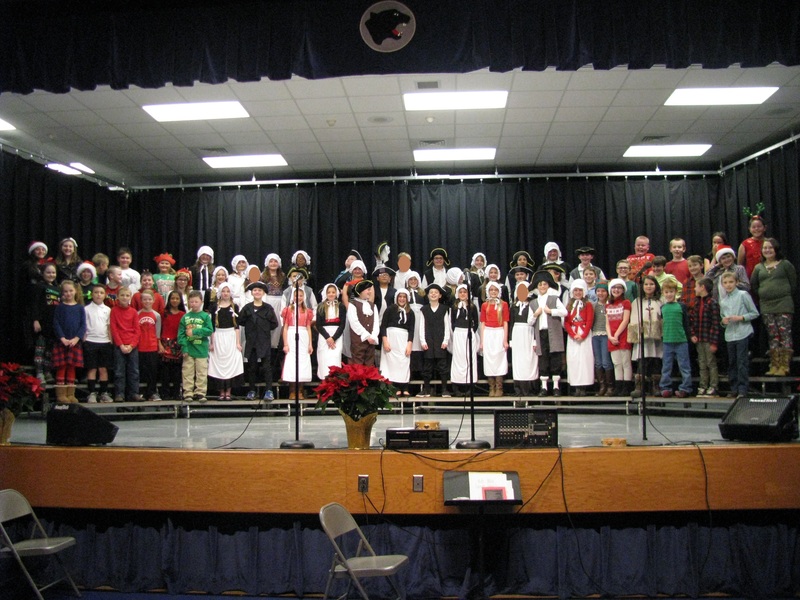 Some students dressed in traditional colonial outfits to represent the past and other students were dressed in their best holiday sweaters and shirts to represent today. 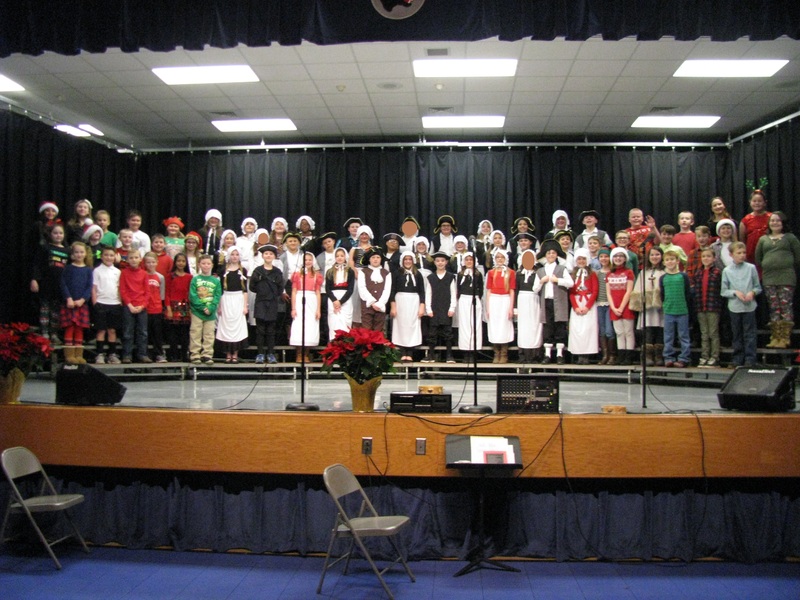 Each number gave you a glimpse into the how this tradition came to be. 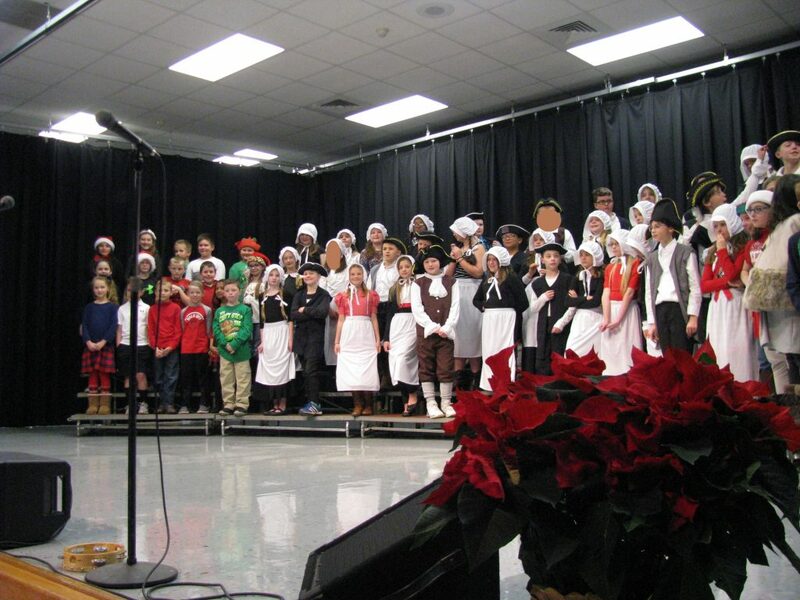 Students sang, jived, and some even played the drums.